Just over a hundred years ago, the very prolific theoretical physicist Albert Einstein added yet another groundbreaking and innovative concept to the body of human knowledge. Published in 1916, the paper contained almost a decade of work in which he attempted to reconcile special relativity with Newton’s law of universal gravitation. He presented a set of ten field equations that describe the gravitational effects produced by a given mass and concluded that what we perceive as gravitational force arises from the curvature of space and time. This idea, known as the General Theory of Relativity, is today regarded as his greatest intellectual achievement. On the theory’s 100th anniversary, a new initiative launched to celebrate perhaps the most well-known Nobel Laureate in history. The Albert Einstein Legacy Project will include a series of programs that highlight the many facets of Einstein — as scientist, philosopher, pacifist, and humanitarian among others — through the lens of the modern world. The goals of the initiative are to honor the life and legacy of Einstein, commemorate today’s visionaries, and inspire the next generation of brilliant minds. 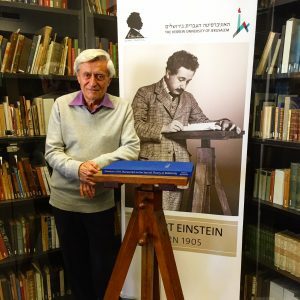 The Einstein Legacy Project includes the creation of The Einstein Archives, Research & Visitor Center in Jerusalem, a center based on the extensive collection of over 80,000 documents at the Hebrew University of Jerusalem; Genius: 100 Visions of the Future, the first 3D-printed book featuring great thinkers of the present day, including a handful of Nobel Laureates; and the Next Einstein Competition to reward and publicize ideas that could make the world a better place. 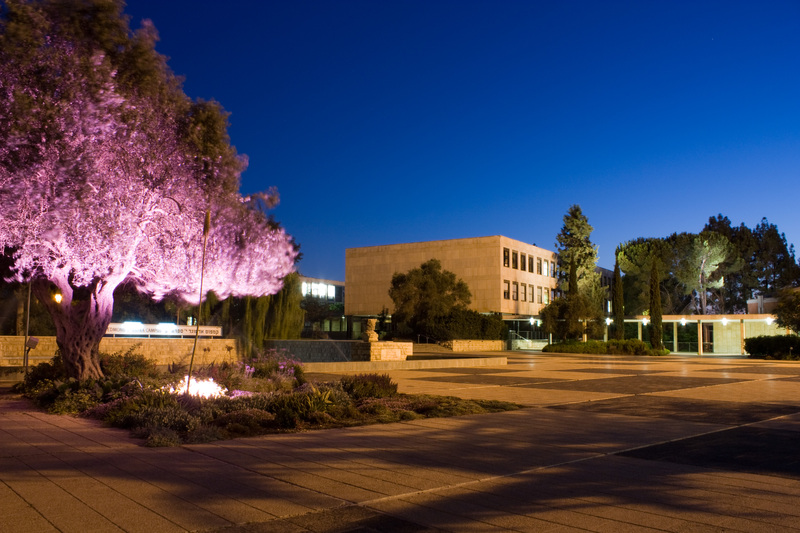 The project is spearheaded by the Canadian Friends of Hebrew University, a national not-for-profit organization that promotes awareness, leadership and financial support for the Hebrew University of Jerusalem. In 1918, Einstein co-founded the university to help foster excellence in education, and its founding charter declared that the institution would be open to every qualified man and woman irrespective of religion, race or nationality. His will stated that his writings and intellectual heritage would go to Hebrew University after the death of his devoted secretary, Helene Dukas. After transforming a bundle of disordered documents into a classified and categorized collection, Dukas transferred it over to the university in 1982. A few weeks later, she passed away at the age of 85. 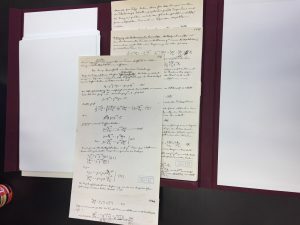 Highlights of the archives include the original, hand-written manuscript on the Theory of General Relativity, his Nobel Diploma for the discovery of the photoelectric effect, his first written job offer with the Swiss Patent Office, the wedding announcement for his first marriage, and letters corresponding with children. The most treasured documents stay secured in a university vault for safekeeping and preservation. The collection spans over 80,000 documents and almost 50 years of Einstein’s work in Germany, the U.S., and Israel. Currently, scholars may have access to the archives by appointment only. The Einstein Archives, Research & Visitor Center, on the other hand, will serve as a global attraction for the general public to celebrate the life, history and vision of Einstein. Gutfreund, a former president of the university and himself a theoretical physicist, calls Einstein a “prolific correspondent” who sometimes wrote five or six letters per day. Topics ranged from science to religion, nuclear weapons to pacifism, and human rights to his haircut. His thought process while writing some of the greatest scientific papers of all time becomes clear when seeing his handwritten notes, crossed-out words, and cut-and-pasted pages. His legacy of creativity, influence, and innovation for the betterment of mankind lives on in present-day visionaries. 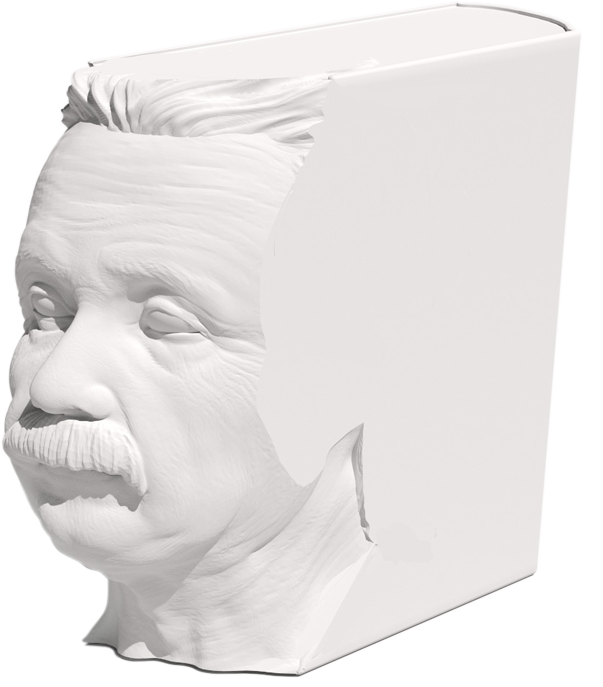 Hence, another aspect of the Einstein Legacy Project is the world’s first 3D-printed book that will invite 100 prominent leaders, influencers, and icons of our time to share their vision of tomorrow. Each page of Genius: 100 Visions of the Future will contain a contribution from prominent scientists, artists, philosophers, humanitarians, and others. So far, the Genius project has secured 40 visionaries including eight Nobel Laureates: Shinya Yamanaka (Physiology or Medicine, 2012), Steven Chu (Physics, 1997), Dan Schectman (Chemistry, 2011), Jean-Marie Lehn (Chemistry, 1987), Sir Harold Kroto (Chemistry, 1996), François Englert, (Physics, 2013), Roger D. Kornberg (Chemistry, 2006), and Robert J. Aumann (Economics, 2005). Also contributing to the book are architect Frank Gehry, former astronaut Chris Hadfield, actress and singer Barbara Streisand, geneticist J. Craig Venter, novelist Paulo Coelho, and artist Marina Abramovic. An international nominations committee oversees the process of choosing and vetting visionaries, who must satisfy criteria in the categories of influence, innovation, genius, and leadership. 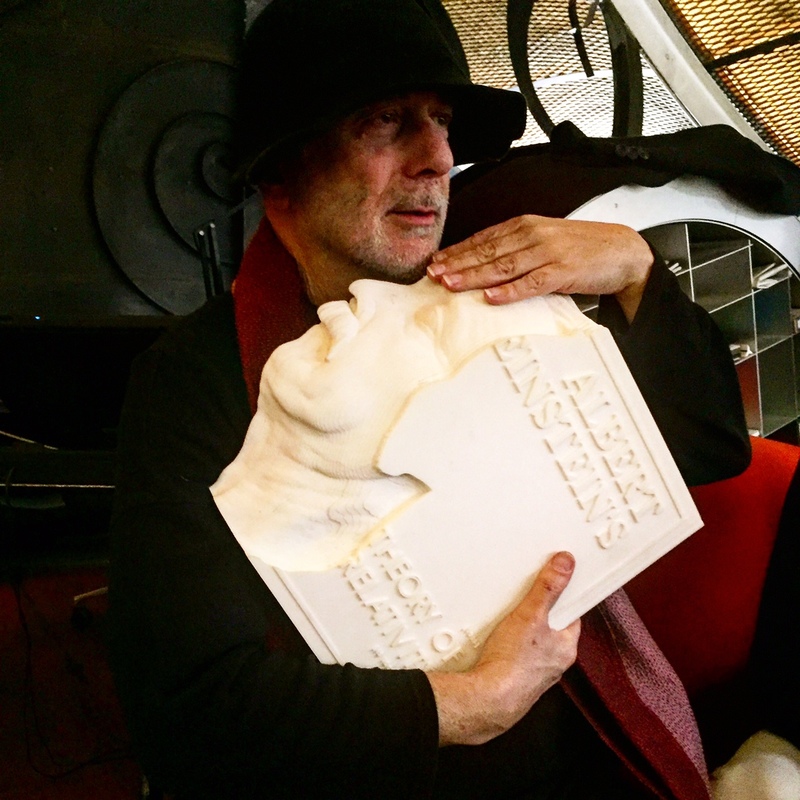 London based designer Ron Arad is currently creating the book, whose pages will form a bust of Einstein when viewed from the side. The build poses numerous technical challenges — printing the book in one piece, making sure pages turn properly, etc. — but Arad has become well-known for pieces that break the traditional mold. The books will be printed with polyamide, a strong and somewhat flexible polymer, and made available in a limited print edition. Each piece requires a 12-hour build time as well as a cool-down period. Originally, Arad and his team thought about printing mechanical hinges for the book’s spine similar to a door hinge. But because of the properties of polyamide, they decided to use the material’s inherent flexibility to create living hinges that will bend easily. To celebrate the launch of the book, the Einstein Legacy Project is hosting the Dinner of the Century in Montreal on September 10 which brings together contributors from Genius: 100 Visions for a gathering that will celebrate Einstein’s legacy, honor the great minds of our day, and inspire a new generation of creative thinkers. Proceeds will go to the construction of The Einstein Archives, Research & Visitor Center at The Hebrew University and the Next Einstein Competition. The Next Einstein Competition was launched in 2013 to recognize new and innovative ideas with the potential to better the world. The grand prize includes CDN$10,000 of seed money to launch the idea, which have ranged from photosynthetic dragonflies for the purpose of balancing the ecosystem to inexpensive, 3D-printed prosthetic hands for amputees. The judging panel is chaired by Nobel Laureate Roger D. Kornberg. The competition particularly encourages young people to brainstorm and contribute their ideas. This year, the Einstein Legacy Project has partnered with the European Space Agency (ESA) to run the program in rural parts of South Africa. Over 10,000 students from 19 schools in the Mpumalanga region will compete to be named the Next Einstein in an effort to promote education, creative thinking, and a love of science. The competition will launch in Feburary, and winners will be announced in March. All in all, the Einstein Legacy Project weaves together the life and work of Einstein with both the visionaries of today and the leaders of tomorrow. The involvement of living Nobel Laureates influenced by Einstein as well as children who have yet to hear of his work speaks to this broad outlook. Such outreach efforts will ensure that the idea of “standing on the shoulders of giants” can hold true for generations to come. Meeri N. Kim, PhD works as a science writer who contributes regularly to The Washington Post, Philly Voice, and Oncology Times. She writes for The Washington Post’s blog “To Your Health,” has a column for Philly Voice called “The Science of Everything,” and her work has also appeared in The Philadelphia Inquirer, Edible Philly, and LivableFuture. In 2013, Meeri received a Ph.D. in physics from the University of Pennsylvania for her work in biomedical optics.